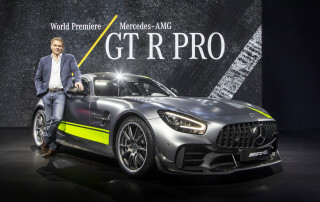 After a Detroit auto show that was about little except pickup trucks and a new Jeep, followed by a tepid Chicago show, New York proved to be relatively rich in interesting new green cars. 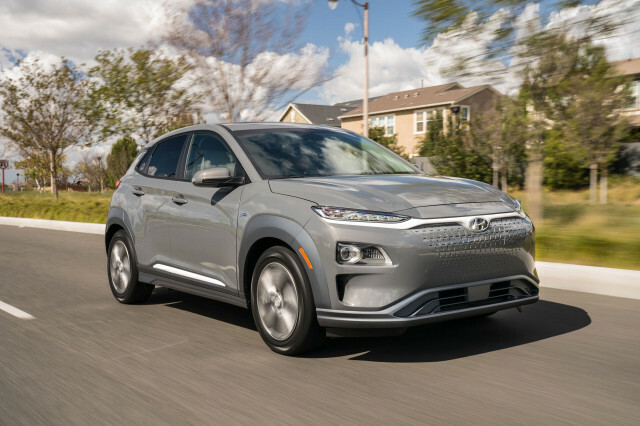 The standout was clearly the 2019 Hyundai Kona Electric, the 250-mile battery-electric small hatchback that will go on sale before the end of the year. While it hasn't been priced yet, it's the first mass-market competitor that actually beats the 238-mile, $37,500 Chevrolet Bolt EV on range. Hyundai-Kia has always been an aggressive company, and it's by far the newest of the world's five or six largest makers. We sat down with several Hyundai folks at the show (in person and by phone) to ask more detailed questions about the Kona Electric and how it came to be. They were Natalya Edwards, manager of advanced product strategy; Jerome Grergeois, senior manager of eco powertrains at the Hyundai Technical Center in Chino, California; and Ryan Miller, senior engineer for EV powertrains at the Technical Center. While their responses were mostly what we expected, they underscored a few points of interest to electric-car buyers. 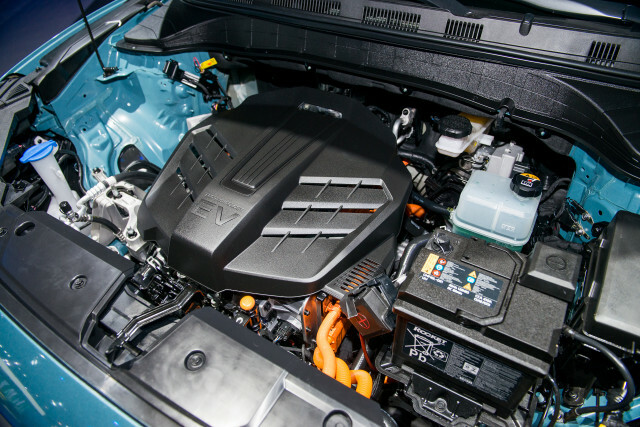 Air cooling suffiiced for the 27-kilowatt-hour "saddle" battery pack that sits under the rear seat and cargo bay of the Hyundai Ioniq Electric. 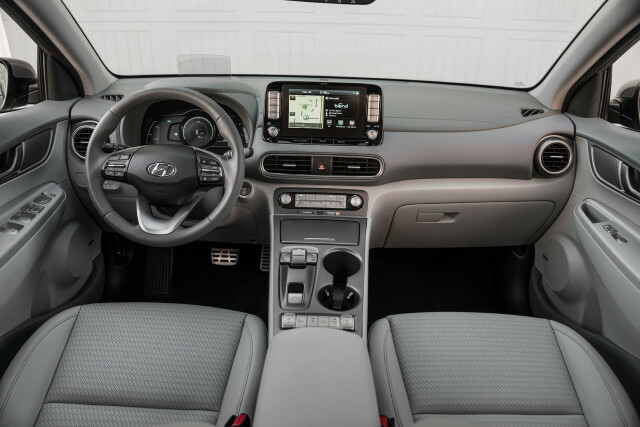 But with an underfloor battery holding 64 kwh in the Kona Electric, the company knew the cell modules would be more closely packed into the pack volume, requiring liquid cooling to keep cells at optimal temperatures to ensure longevity. (2) The cells are still prismatic, but the module structure is entirely new. Again, more energy-dense cells plus the need to work with liquid thermal management required a complete redesign of the internals of the battery. Little of the physical pack structure is carried over from the Ioniq Electric, though battery-management software and algorithms bear a closer relationship to the earlier car. (3) The motor and power electronics are entirely new. The electric Ioniq had an 88-kilowatt (118-horsepower) motor powering its front wheels, while that of the Kona Electric is 150 kw (201 hp). With faster charging, and more power delivered to and from the pack, the power electronics had to be beefed up as well. 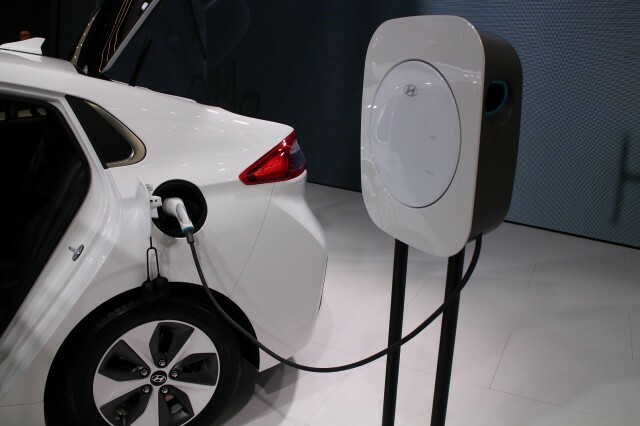 (4) The CCS fast charging can operate at a slightly higher rate. 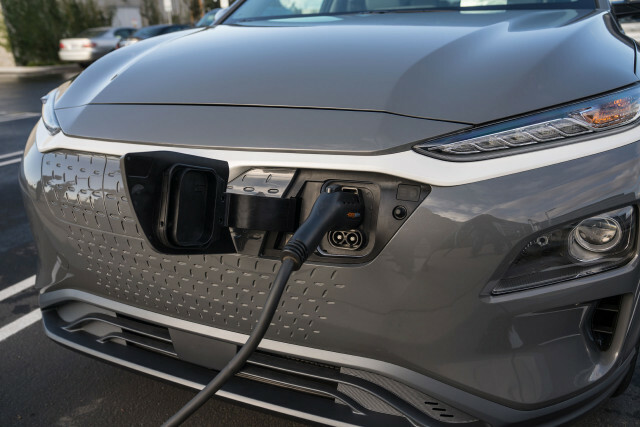 Hyundai measures charging current (amperes) rather than power (kilowatts), but given the pack in the Ioniq Electric, it was capable of fast-charging 173 amps. That translated to a a rate of 70 kilowatts—for which a 100-kw charging output was required. The new Kona Electric can handle a maximum current of 200 amps, meaning it can handle a peak power of 80 kw—still within the capabilities of new 100-kw CCS fast-charging sites found in Europe and South Korea today. (5) The Kona Electric gets a better rear suspension than the gasoline model. The electric Kona has independent rear suspension using trailing arms, which made it easier to fit in the battery pack. The gasoline Kona uses a torsion-beam rear suspension, a design often viewed as providing less precise roadholding and handling. EDITOR'S NOTE: An earlier version of this article quoted the output of the Kona Electric's motor as 160 kw (215 hp). While that's actually the figure cited by our interviewee, we've corrected the specification to the figure given in Hyundai's press materials: 150 kw (201 hp).